Good morning!! I’m excited to share this cute dress with y’all again. Some of y’all will remember having seen it before here. 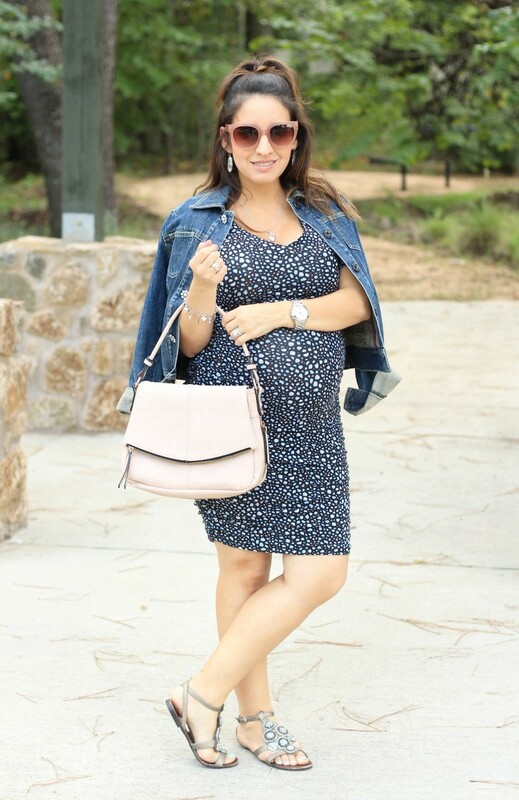 I wore it for my sons baby shower, and was excited to get it out for a more laid back outfit. This exact dress isn’t available at A Pea In The Pod anymore, but I’ll link plenty of different options below. In the spirit of trying new things, I thought I’d try a version of the half up top knot. I’m not exactly sure about it. My husband wasn’t a huge fan, but sometimes it takes him a little while to jump on the new hair bandwagon. So let me know if y’all like it, or think I need to go back to the drawing board. So, I thought I would change it up a little on the blog today, and share five unknown facts about me. I thought this was the perfect time to share a few facts about me that I don’t usually share, but might be interesting to you, or that can give you a little break from your day. These are always my favorites to read on the rare occasion I have my coffee while it’s still warm. So, what better time to share a little about me. 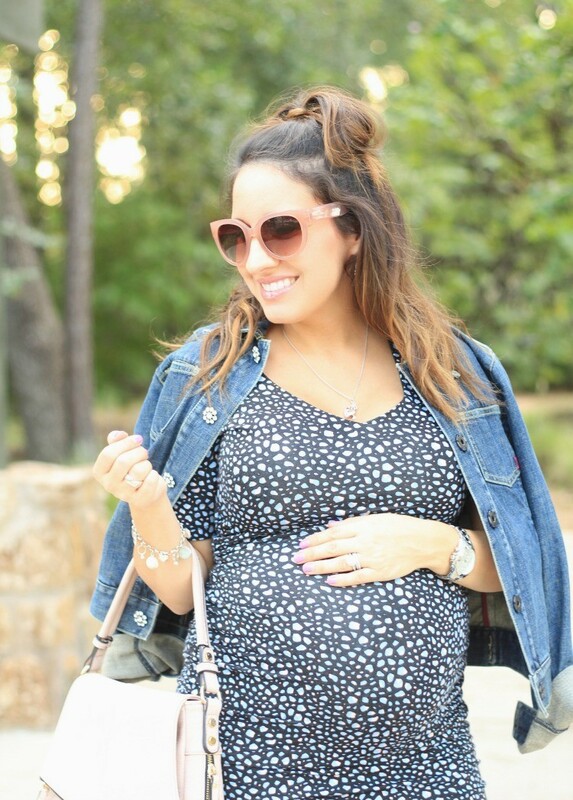 If y’all haven’t entered the Pink Blush Maternity $75 gift card Giveaway you can enter here!! 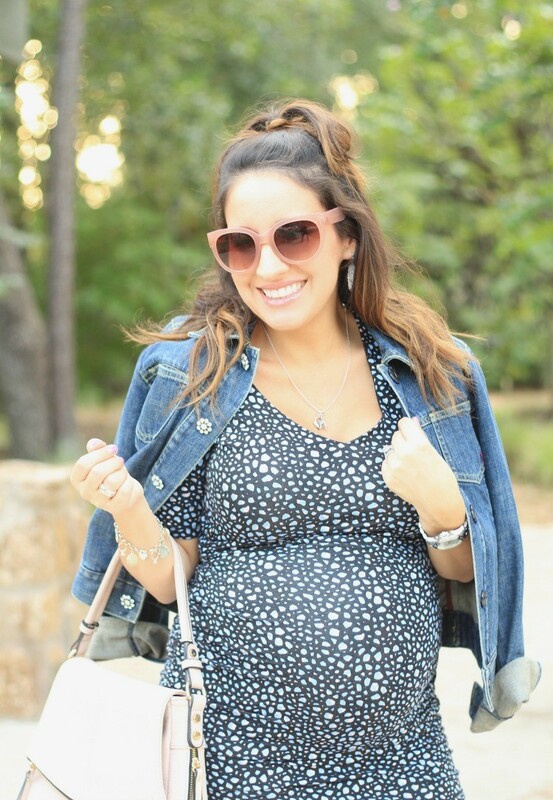 One of the things, I love about this giveaway is I made sure you would only have to follow myself, and Pink Blush Maternity. So it’s not a zillion follows before you’re finished!! Just a little FYI they have some of the cutest maternity, non maternity clothes, nursing clothes, and nursing pjs!! Good luck y’all!! 1. I was adopted by my grandparents when I was three years old. That’s not something I share with too many people. That’s why family is so important to me, and providing my son with a good home is always on my mind. It’s part of every decision I make whether I realize it at the time or not. I want him to always feel my love. 2.Two of the things that make me the most nervous about having a second baby are breast feeding, and what’s the right baby bag for two babies with such different needs. 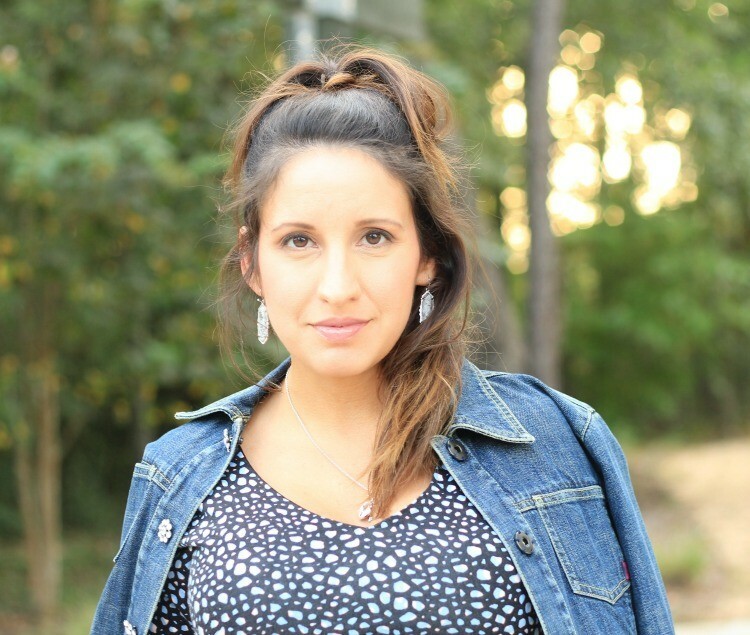 The breast feeding nervousness has been on my mind since we found out we were pregnant. I had such a hard time breast feeding my son. I really felt like a huge failure at times because I couldn’t produce enough milk, and the Boppy pillow never fit me. I’m short waisted, petite, and my girls were like watermelons. If I hadn’t been so emotional at the time I probably would have laughed at the situation. I knew in my mind that I wasn’t a failure, but I still felt like I must be missing something. I tried supplements, lactation cookies, smoothies, pumping, and then I finally realized it’s okay after really beating myself up about it. So, this time around I’m going to try, and hope for better results through positive thinking, planning, and advice from friends. If y’all have any suggestions that worked for you I would love to know. The baby bag has me nervous, but thankfully not as nervous as the breast feeding. My breast feeding anxiety has been heightened a bit because August is also Breast feeding awareness month. I’m one of those moms that likes to have everything, but the kitchen sink when I go out with my son. So knowing I’m going to need space for two times the amount of baby, and toddler stuff has me looking at lots of baby bags. It’s so hard because I need a large enough baby bag, but not one too huge because I’m 5 feet nothing. So something huge would look like I was carrying my mommas bag. I know, I want the holy grail of diaper bag space without it being humongous. If y’all have any suggestions, please share them. 3. 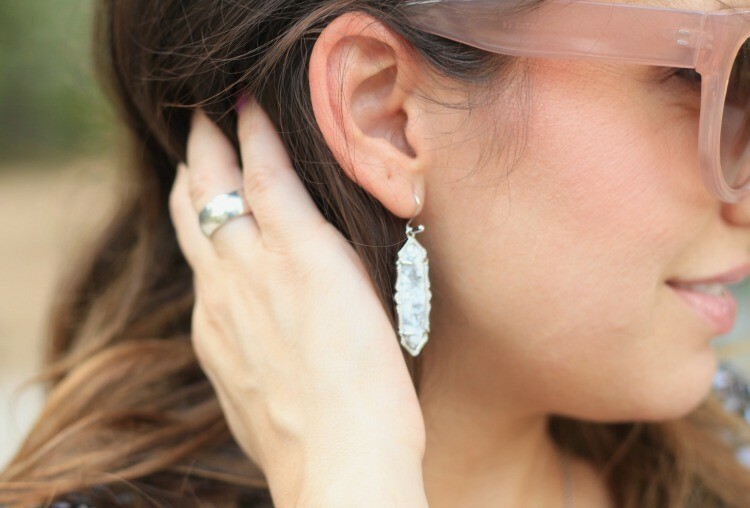 Most of the photos on the blog are taken mostly by my husband, and other blogger friends. Thank goodness for a supportive husband and friends!! I’m so thankful for their help because like most start up businesses keeping expenses down is important because at this point I can’t justify spending a lot on photographers. Especially, since my very supportive husband bought me a nice DSLR camera just for my blog. I appreciate his vote of confidence in me!! We are learning this camera everyday we use it. So thankful for photographers that share their knowledge about what the settings really mean. 4.On most days if you knocked on my door you’d find me in pajamas, no makeup, and my hair in a low ponytail of some sort. Usually they are not the pajamas from the night before, but sometimes they are. If I’m at home, and don’t plan on going anywhere it usually doesn’t make sense to put makeup on, curl my hair to entertain my 17 month old little man. Usually I’m walking behind him hoping he doesn’t pull the kitchen sink rug up, or the play mat in the play area. Let me tell you, these alphabet and number mats are the most annoying mats. I probably put that mat back together at least 10 times a day. It’s safe to say I wish we had bought a gym mat instead. I’m still playing with the idea of buying a gym mat instead. 5. I’m a naturally shy person. It’s something I’m working on, but I have my moments where I just don’t feel like working on me. I hope I’m not the only person. Thankfully all the ladies at the blogging events and meet ups have always been super sweet and welcoming. Something I am so thankful for. It’s easy to fall in to my old habits of being a wall flower so having nice people around always helps.